Queen duvet cover (88" x 88") featuring the image "Moonlit High Country" by Will Borden. Our soft microfiber duvet covers are hand sewn and include a hidden zipper for easy washing and assembly. Your selected image is printed on the top surface with a soft white surface underneath. All duvet covers are machine washable with cold water and a mild detergent. Hi Will, thanks for the comment on my NYC painting. I hadn't been over here in a bit, wanted to see what you've been up to lately. This is gorgeous, I love the color. And I love how the light is outlining the pine needles in the foreground. Very dramatic piece. Very creative abstract Will. I like the composition looking through the close pines. 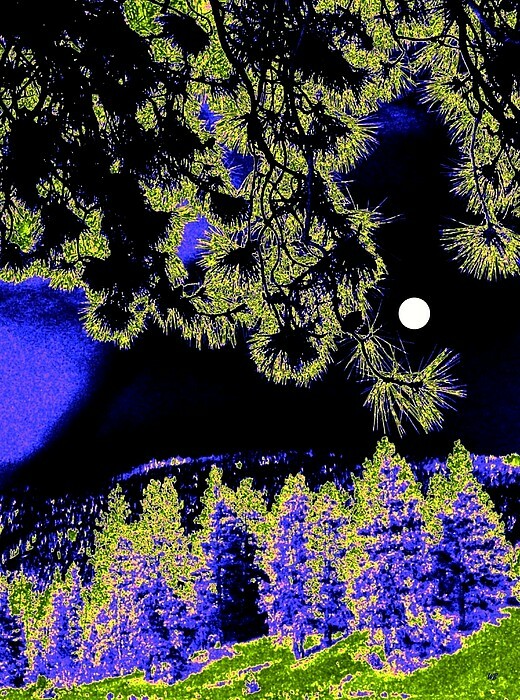 A dramatic abstract photo design- a full moon illuminates the pine covered high country of the Okanagan Valley in British Columbia, Canada. 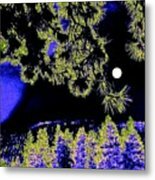 "Moonlit High Country"